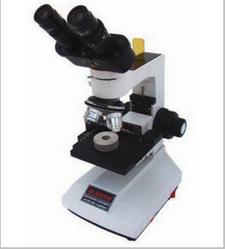 Metallurgical Software available for various study of Grain, Phase, Nodularity, porosityt, Flask and other. 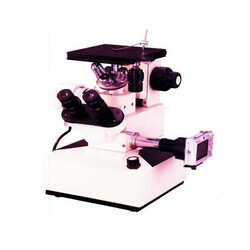 Metallurgical microscope is widely used for metallurgical, mineral identification and crystal, integrated circuit examination and research. 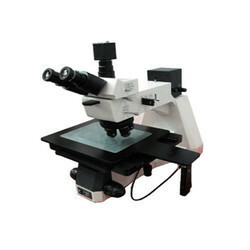 It is available to be supplied with transmitted illumination,imaging and viewing system and accessories as a biological microscope for medical institute use. Stage Double layers size 150 x 140mm Moving range 75 x 50mm. 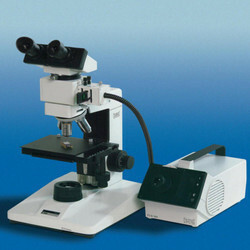 Infinitive Optical System Providing Excellent Optical Functions. 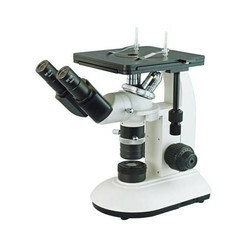 With the stable stand structure advanced stage design and comfortable operation, it is widely used in institute and laboratory to observe and identify the structure of various metal and alloy. 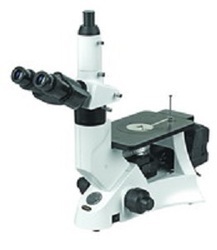 Viewing Tube Siedentopf trinocular head, interpupillary distance 53~75mm, 45 Degree inclined, diopter adjustable. 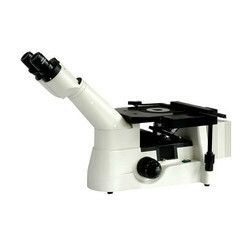 Observation Head Binocular head with 45 Degree inclined and 360 Degree rotatable. 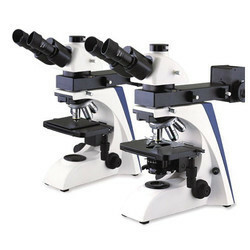 Inverted Metallurgical microscope provide flat, sharp, and brilliantly clear images while achieving longer working distances. 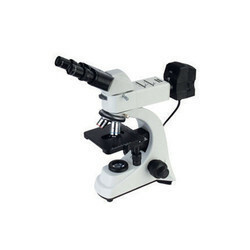 Developed for bright field and simple polarizing observation, and designed to be compact, durable but easy operation, it is excellent for metallurgraphic and electronic components as well as materials field and quality control departments. 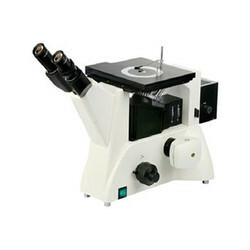 The advanced upright reflected and transmitted light metallurgical microscope MET 600 series is a comprehensive model with multiple applications such as bright and dark field, DIC, polarizing observations, etc. Aimed at the semiconductor industry, wafer manufacturing, electronic information industry, metallurgical industry and so on, MET 600 series is developed for applications like FPD, circuit encapsulation, circuit substrate, material, casting, Metal and Ceramic parts, Precision moulds, etc. The ergonomic design enables your work with MET 600 series comfortable and relax.